Minitab Statistical Software offers many features that can save you time and effort when you’re learning statistics or analyzing data. However, when we demonstrate many of these short cuts, tools, and capabilities at shows and events, we find that even some longtime users aren’t aware of them. I asked members of our sales team and technical support staff to list some of Minitab’s most helpful, yet frequently overlooked features. How many do you use—or want to start using? Frequently, you’ll need to modify or re-run some part of an analysis you conducted. You can easily return to your last dialog box by pressing CTRL+E. What if you need more than 1 version of a graph? Maybe you're presenting your results to two different audiences, and you'd like to highlight different factors for each. Use Editor > Duplicate Graph to create an identical copies of the original graph, which you can then tailor to suit each of your audiences. It’s also easy to create new graphs using different variables while retaining all of your graph edits. With a graph or control chart active, choose Editor > Make Similar Graph to make a graph that retains all properties of your original graph but uses different columns. To customize menus and toolbars, choose Tools > Customize. You can add, delete, move, or edit menus and toolbars; add buttons to Minitab that you can simply click on to run macros; and set keystrokes for commands. You can specify default settings using Tools > Options. Then store all your personalized settings and customizations in a profile (using Tools > Manage Profiles) that you can use whenever you choose and share with colleagues. Need to change the format of a column? For example, do you need to convert a text column to numeric format for your analysis? Just choose Data > Change Data Type and select the appropriate option. Have you ever created a graph and wished you could switch the order of the results? For instance, you might want to change “High, Medium, Low” to “Low, Medium, High”. To display your results in a specific order, right-click on the column used to generate the output and choose Column > Value Order. This lets you set the value order for a text column using an order you define. The value order lets you control the order of groups on bar charts and other graphs, as well as tables and other Session Window output. If you’ve never clicked on Minitab’s Help menu, you’re missing a tremendous collection of resources. Of course you’ll find guidance about how to use Minitab software there, including step-by-step tutorials. 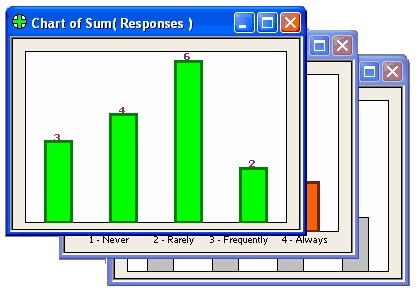 Minitab Help also explains how to interpret results, using preselected examples to explain your output. You can also find a list of Methods and Formulas that are used in each Minitab analysis. And if you don’t find the answers you need, you can contact Minitab’s Technical Support team for assistance from highly-skilled specialists with expertise in both computing and statistics. Do you have any favorite "hidden helpers" in Minitab?